Wright Calibration is a leader in the field of the calibration, repair and maintenance of all makes and models of Optical Comparators. We go above and beyond the competition with each and every calibration. Exterior cleaning of working area of comparator and table. Maintenance of horizontal and vertical movement. 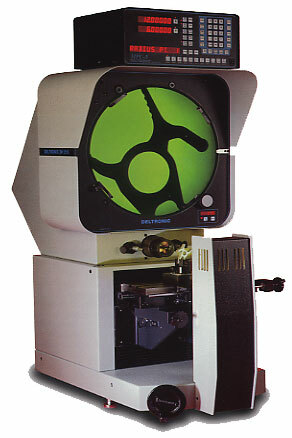 Visual and mechanical inspection of comparator. Customer is notified of any potential issues with comparator. We are able to perform this action because of the extensive experience of out technicians. Saving possible problems in the future and costly down time of inspection equipment. Capability of in-depth maintenance and repair of comparator. Certificate conforming to ISO 17025. Many repairs can be done onsite by our technician. 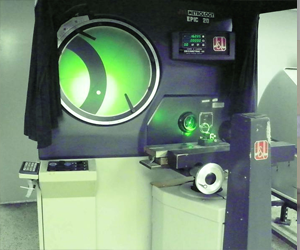 We would come to your facility and evaluate the optical comparator. We offer our repair services for all makes of optical comparators. Jones & Lamson, Deltronic, OGP, Starret, Mitutoyo, Nikon to name a few. 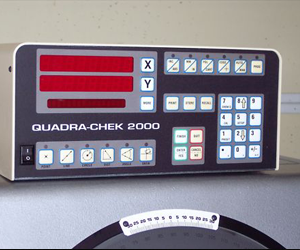 We have extensive experience in Quadra-Chek and Deltronic Digital readouts. Please call 651-230-5978 or Contact Us for scheduling.